After reading the first few pages of Brutal Youth I knew two things for sure: this book is aptly named and I was thrilled to have been asked to take part in this tour. Is Brutal Youth a YA novel? It’s about young adults, but that doesn't mean that it’s geared towards young readers exclusively. I was going to use the trusty Google to find out for sure, but the fact that I couldn't tell says a lot, don’t you think? Brutal Youth is dark and comic, it's joyful and nightmarish. In other words: it's high school. Even though it's been a number of years, this book brought me right back to those years. There comes a point in adulthood when we paint a glossy coat over our days in high school and forget what it's really like. Brutal Youth reminded me. It reminded me hard. The characters are spot on. The bullies, the survivors, the clueless parents, the teachers who care, and the teachers who don't. I was crazy about Peter, Noah, and Lorelei and hated to say goodbye to them at the end of the book. I won't be forgetting them anytime soon. They were real and they were heartbreaking. 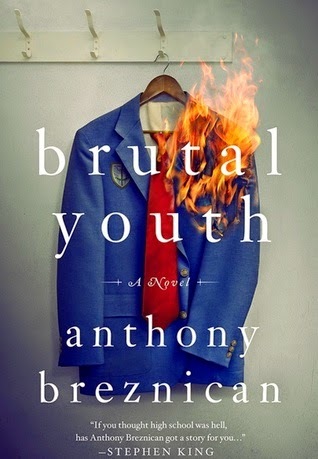 Anthony Breznican has penned a extraordinary debut novel that is one of the most powerful and affecting reads of the year. I highly recommend it. 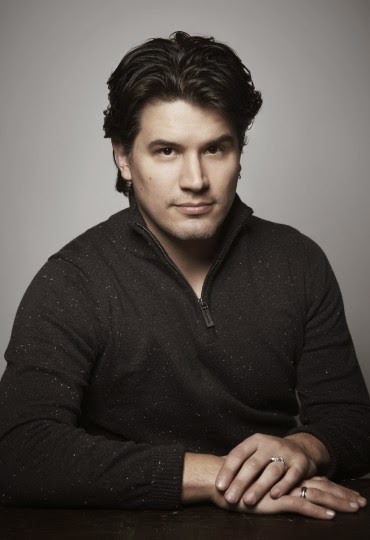 Oh my gosh - the author looks like a cross between John Mayer and Antonio Sabato, Jr!! Anyway - I've been hearing mixed things about this one, but I'm glad you liked it! I tend to love novels set in schools, so I might give this one a shot. LOL, easy on the eyes, right? Aghh this book sounds so good! I've heard some mixed things about it, so I'm glad you liked it! I heard mixed reviews as well so I was a bit skeptical going in. I'm glad that it impressed me! I'm still not sure about this one; I may have read my quota of brutal books for now but it sounds like you liked it a lot so maybe I will keep it in the back of my mind. Wow, sounds grim! Not sure I could take this read (The Year of the Gadfly had me in knots) -- but love the cover design -- seems to match the book perfectly. Glad this one worked so well for you! You and me both ;) I was nervous for some reason! I liked this with reservations, but I'm glad it went over so well for you! Always love a book that you know is going to be an instant favorite! I had mixed feelings on this book, but it CERTAINLY made an impression. I'm glad it was a winner for you! Me too! Hooray :D Did you review this one, Katie? I have to go search your blog because I don't remember. I so didn't realize this is YA!? Wow! Well, to be honest I don't know that it is! I mean, it's peopled with young characters going through the stuff that high school kids go through. BUT it doesn't read like a typical YA either.